FreeBSD 11 on a Lenovo X220 works very well for my purpose, except for the Realtek RTL8188CE wireless card. I always wondered why wifi downloads were very slow, but when it trashes the wifi network I needed to try for a fix. I downloaded the latest win 7 x86 driver from Realtek, and extracted the .sys and .inf files. Using ndisgen I created a new driver - rtl8192ce_sys.ko. This was moved to /boot/modules along with ndis.ko from the /boot/kernel directory. My /boot/loader.conf was edited with ndis_load="YES" and rtl8192ce_sys_load="YES". 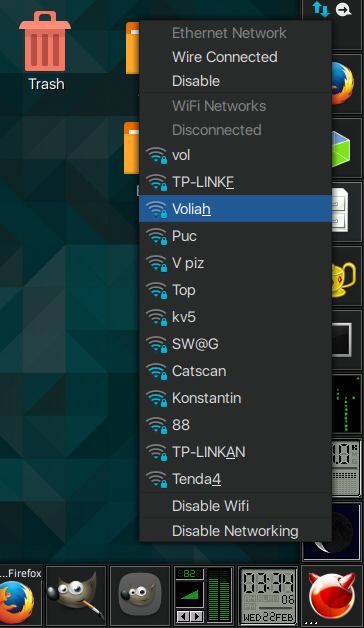 My /etc/rc.conf was edited with wlans_ndis0="wlan0" (not sure if this is correct). kldstat shows ndis.ko and rtl8192ce_sys.ko loaded. ifconfig shows no wireless device. the problem, but it's worth a try. Otherwise, I guess I'll need a USB wifi adapter. Thanks. I'm not sure what to do with this laptop. Probably dump win 10 back on, as that works OK with the wifi card installed. I think linux distros may have the same problem of slowing the network down for all users. My wife couldn't use wifi whenever I was downloading with freebsd (also by wifi). I thought the ndis program would use the windows driver. I just today tried using the realtek .inf and .sys files from win 10, and I still can't get ifconfig to show the card. Could it be that you need to use a Windows XP driver? That's what the handbook says, although the ndisgen(8)() manual makes no mention of specific Windows versions. I tried the latest win 10 drivers because the older ones for xp/7/8 had a bug that caused a lot of slow connections/dropouts on various laptops. I'm getting closer and closer to giving up. The X220 is a great laptop though - I have one and FreeBSD 11 works pretty well on it. For me, almost everything just works (although I've yet to try Bluetooth or my 3G modem). If you are serious about using FreeBSD on it, I'd update the BIOS and get a supported wireless card. It takes just a few minutes. I really like the laptop, but like I wrote, my wifi kills our home network. Can you let me know what card you are using? Trying to research for FreeBSD supported cards is daunting. I spend enough time googling. I'm using the Intel Centrino Advanced-N 6205. Like I wrote earlier, it has a few problems with dropped connectivity (see here, here, and here, etc...), regardless of OS. ht      Enable use of High Throughput (HT) when using 802.11n (default). mechanisms than specified in 802.11b, 802.11g, and 802.11a. disable use of HT40 use -ht40. After adding that to my /etc/rc.conf the card is solid. No dropped connections or problems finding access points. I don't know anything about any other cards, other than Atheros cards seem to be well supported. I have the 6205 card in my X220 and I don't ever recall a dropped connection from our WPA2 network at home. The WPA-EAP connection at work used to be unusable because of frequent drops, but for some time (since 11.0?) it also works well (although I don't use it daily like I do at home, so I'm not as confident making this statement). Added: I don't disable 802.11n. I'll check details when I return home. Strange. I remember after upgrading to FreeBSD 11-RELEASE I was still getting dropped connections. I remember clearly because I'd forgotten to back up my etc/rc.conf and was having trouble remembering the right flags to disable 802.11n, and when I looked for it on the internet (I missed it in the manual), I kept getting those annoying dropped connections. Perhaps not all 6205 suffer from the dropped connections..? Not sure. Maybe there is something different with our access points? This is what I see at home. 3. your user shoud be in a wheel group. Thanks. I'll give the -ht flag a try as well as the networkmgr program. I'm not going to pretend I know what "OFDM" means yet.